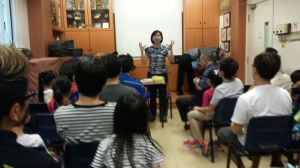 The easiest way to get to Skylace Language School (Headquarter at Waterloo Centre) is to alight at Bras Basah Mrt Station (Circle Line), leave the station at EXIT A and walk to Skylace. 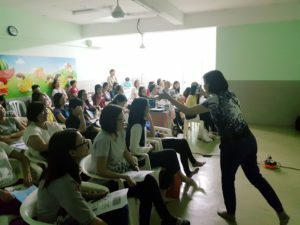 You will reach us in less than 5 minutes! 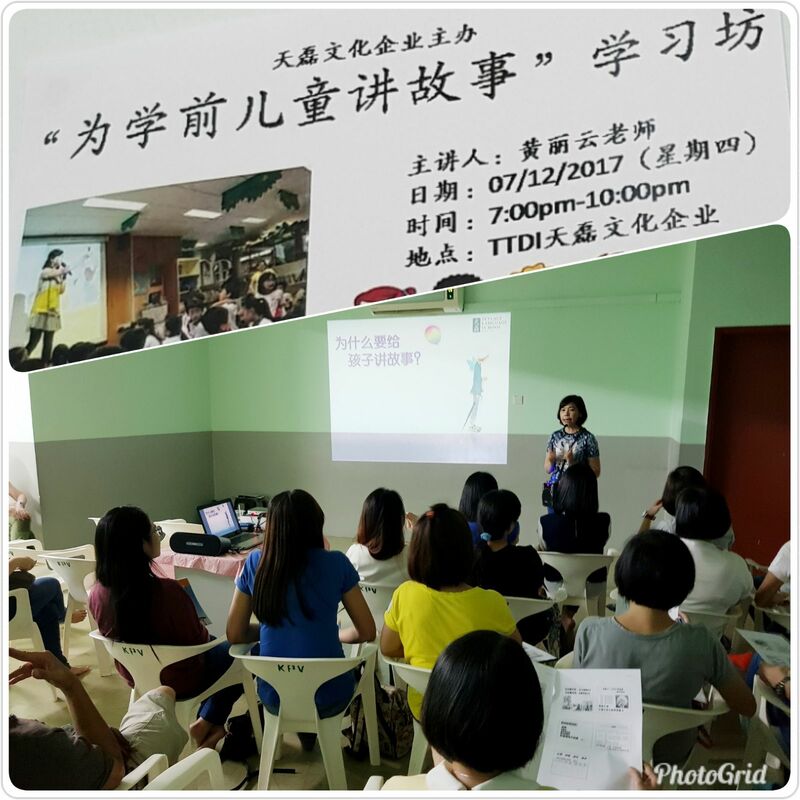 In order to help parents who have children going to secondary school in 2015 to understand how we are conducting our brand-new Secondary School Course, you are cordially invited to our “Open Class” held on the above-mentioned date and time. 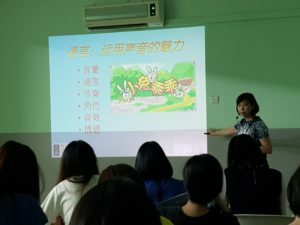 The “Open Class” concept has gained popular following among educators and has helped promoted parents-teachers cooperation in guiding the children to better academic performance. We look forward to your participation. 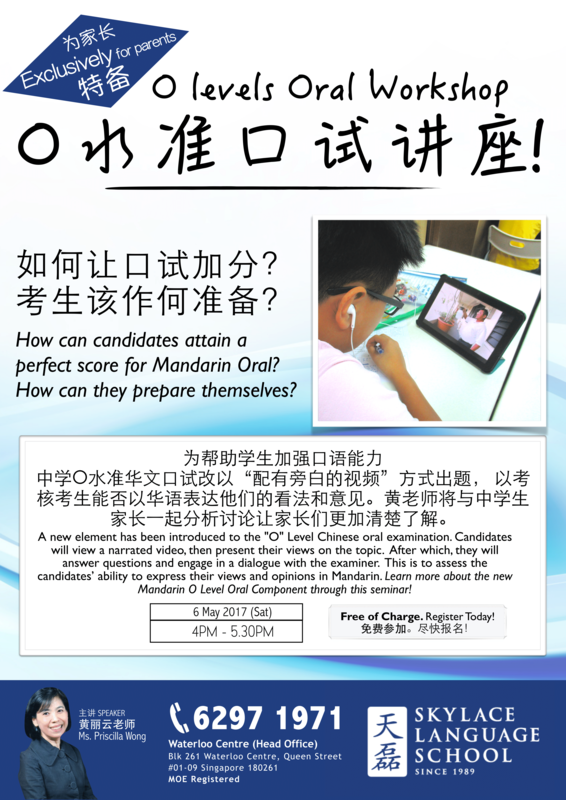 You are welcome to share your opinions after the session. Please call us at 6297-1971 to register for this free “Open Class” session, to ensure seating. 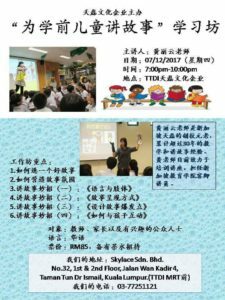 To help parents with children who would be facing PSLE (Primary School Leaving Examination) in 2015, we will be giving a talk on the 1st November 2014. 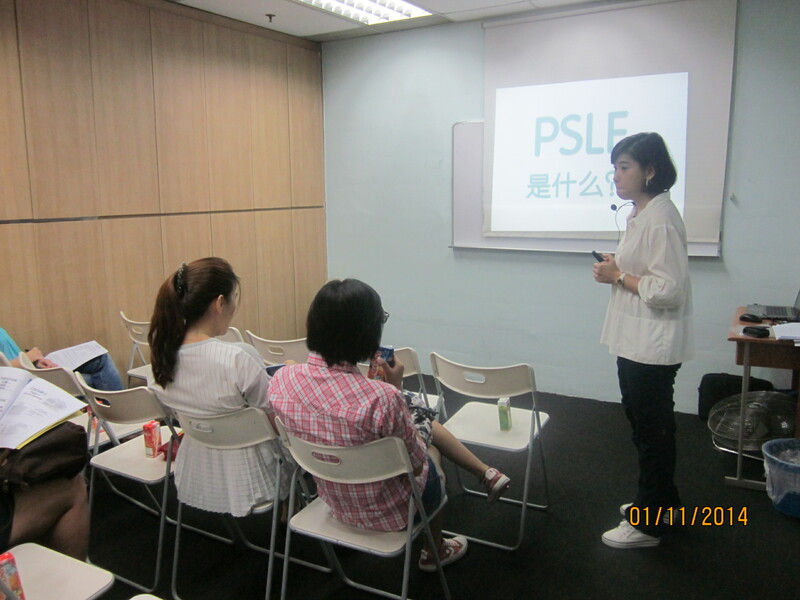 During the sharing session, we will explain the PSLE format and guidelines for year 2015. Furthermore, we will also discuss the examination techniques and the focal point at each preparation stage. 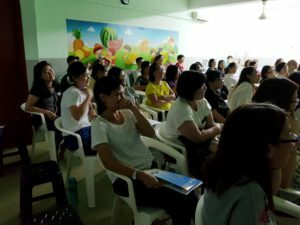 In addition, the need to take care of your child’s emotional and mental health will also be discussed. 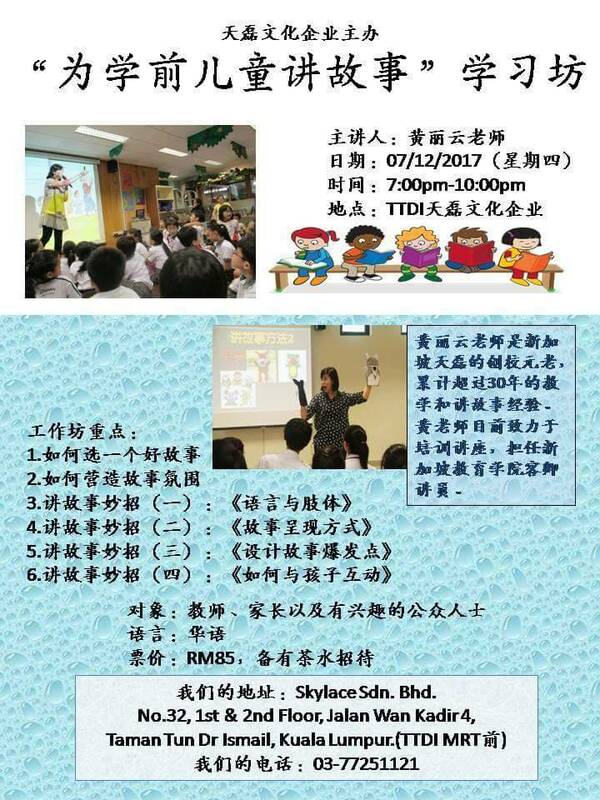 We encourage all parents to participate in this session, your valuable feedback, opinions and suggestions are highly appreciated. 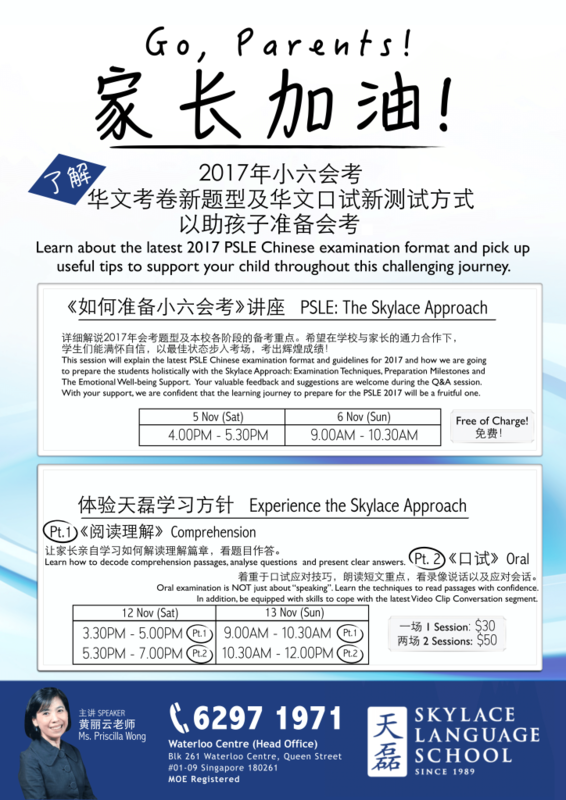 The cooperation between you and Skylace will definitely benefit your child in achieving academic excellence in the Chinese language. 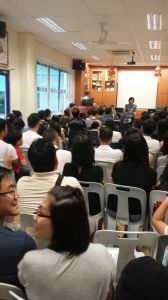 The above-mentioned talk has been successfully held. 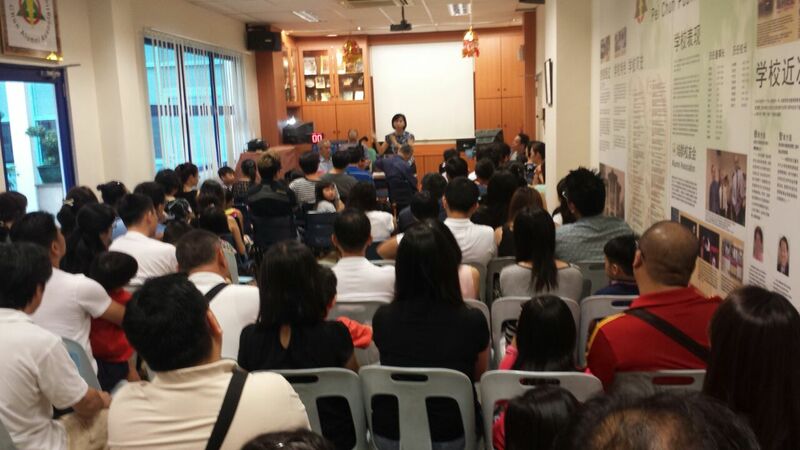 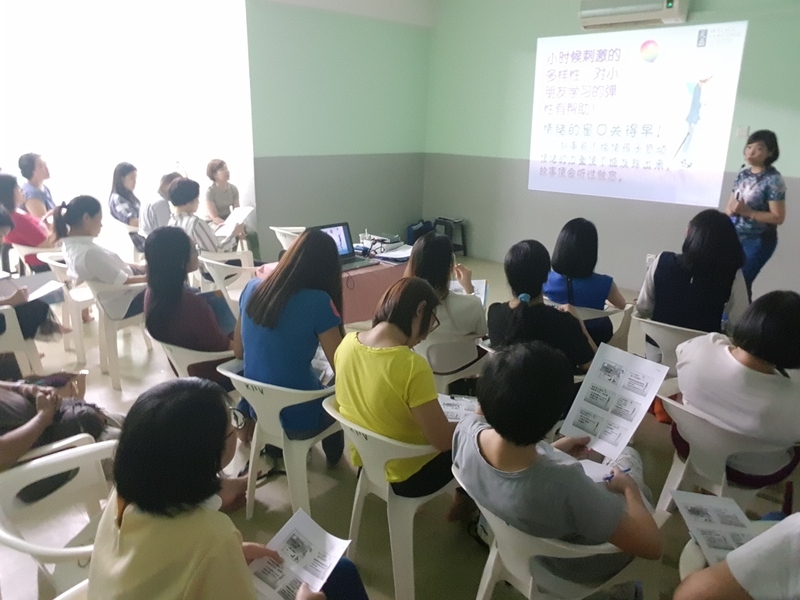 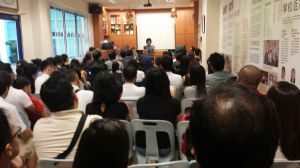 We hope that the parents who attended the talk would be able to guide and accompany their children through the preparation of PSLE with confidence! 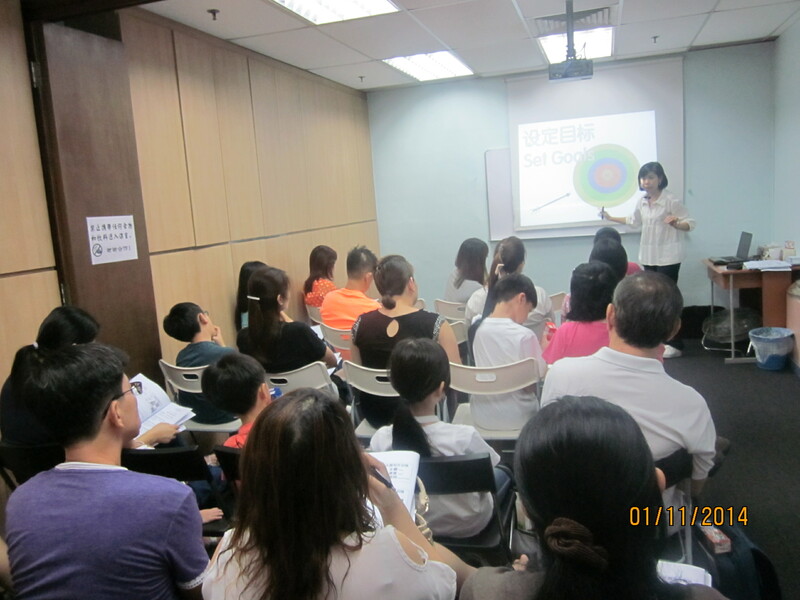 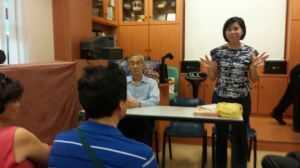 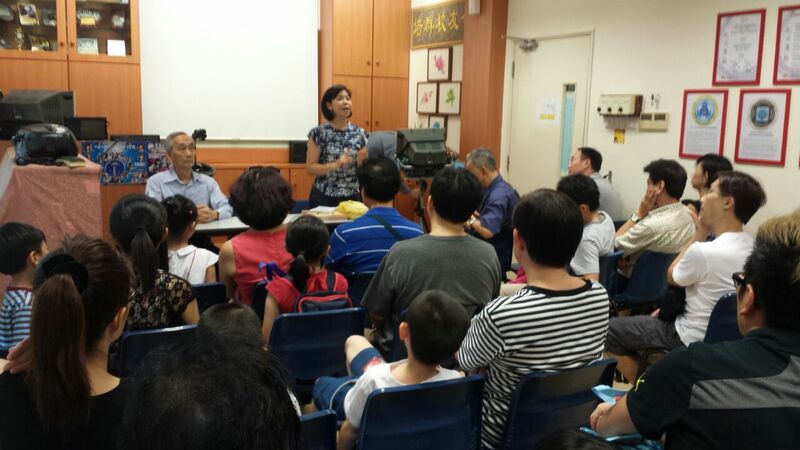 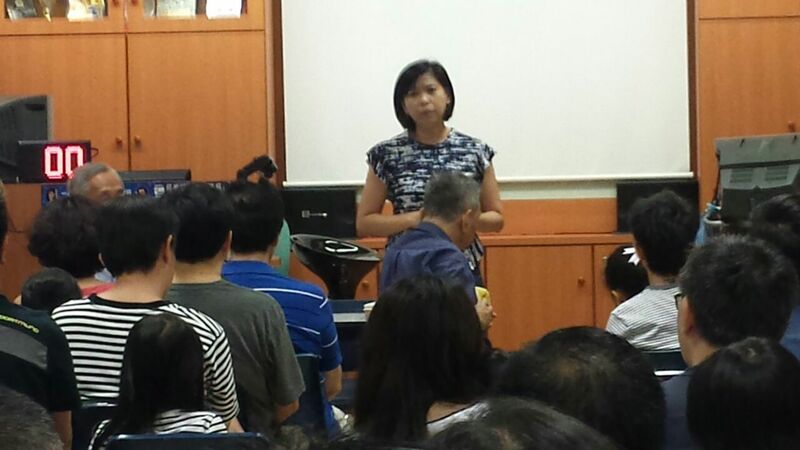 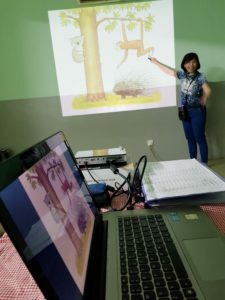 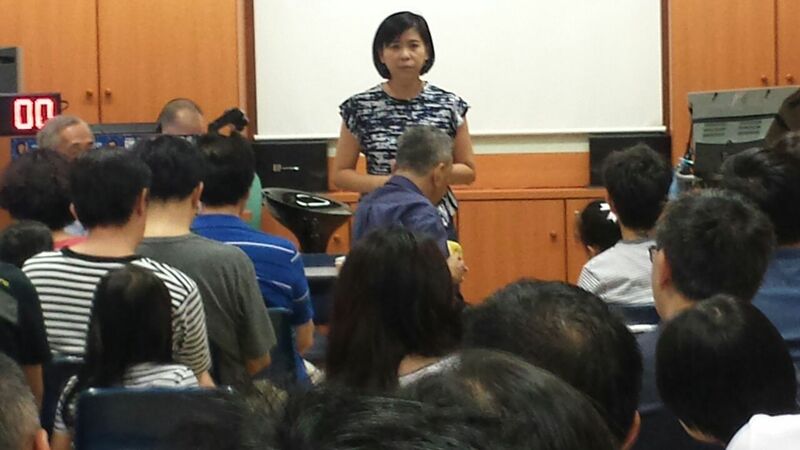 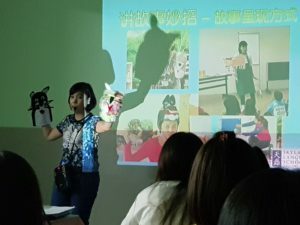 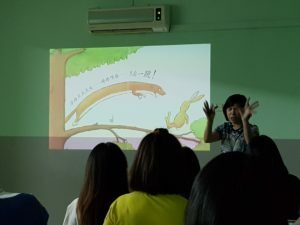 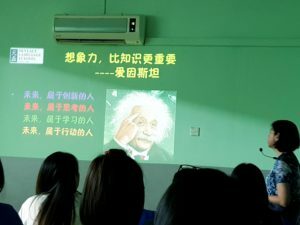 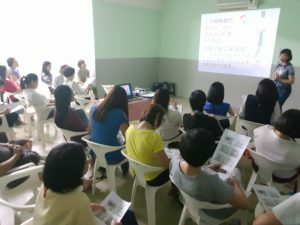 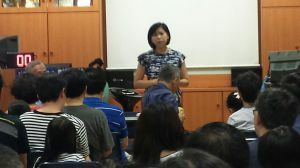 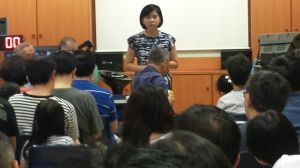 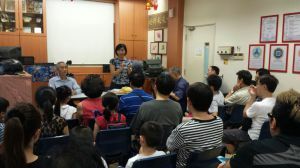 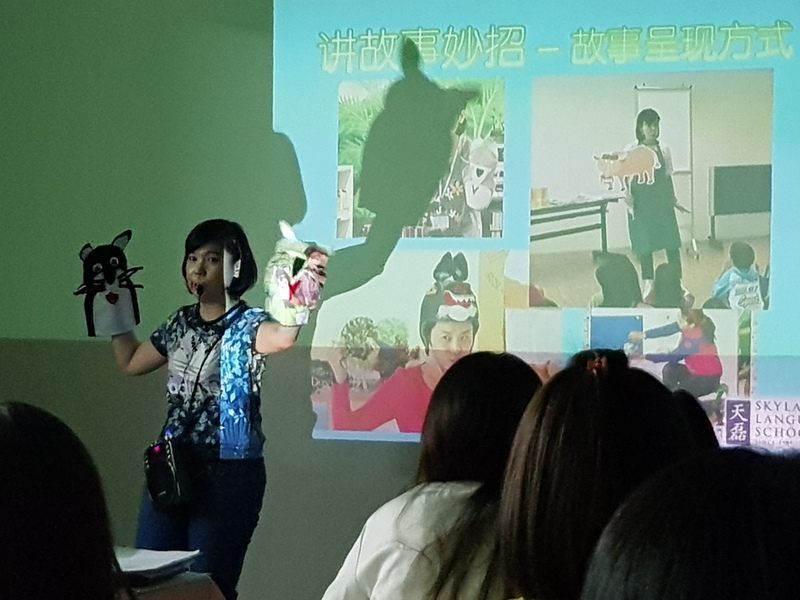 Ms Priscilla Wong conducted a Parents’ Workshop in a SAP school (Primary level) in Central Singapore. 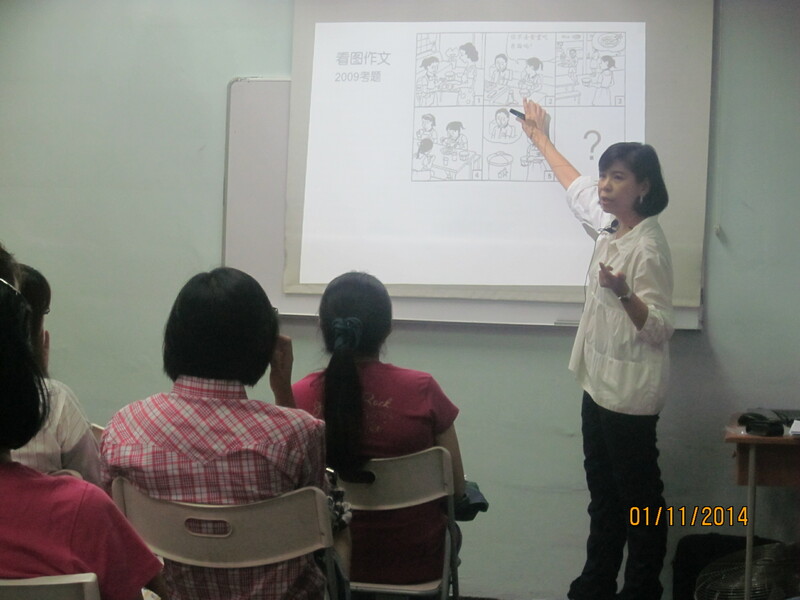 1) Parents should provide an environment for children to learn in joy. 2) Parents should allow children to go through “failure” so as to equip them with the skills to get over setbacks.